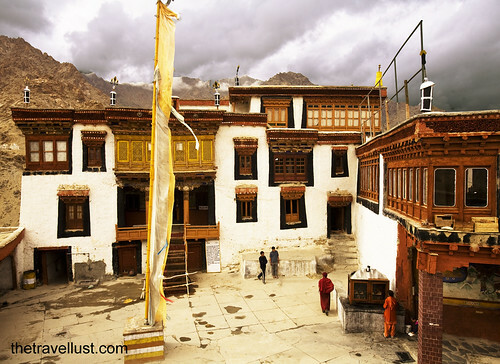 Not many people know of my beloved places, Ladakh, India was deeply affected by the flash floods and landslides early August 2010. 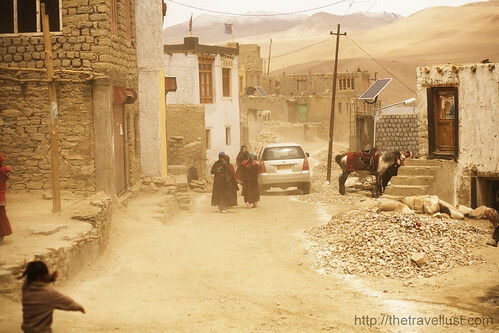 This has affected many villages in Leh, the major city of Ladakh. This area is not widely reported in world news compare to Pakistan and China. 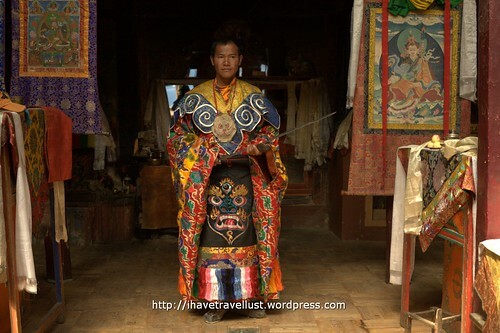 Please help these beautiful peaceful buddhist people who have been so kind to me while I was there. 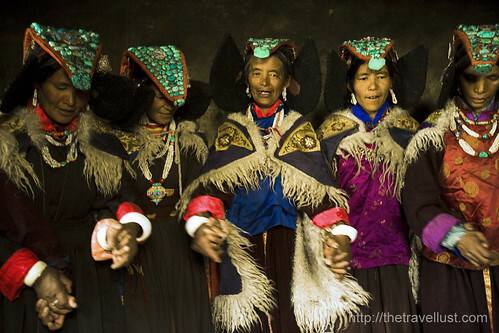 Winter is coming soon, and here in Ladakh, winter comes harsh and punishingly cruel. 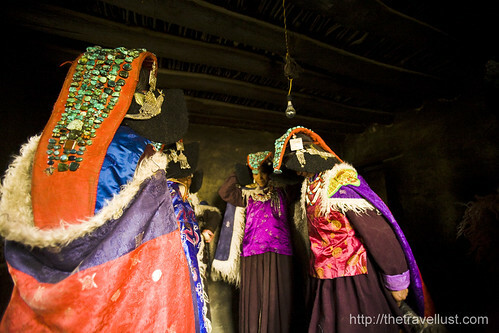 The affected villagers need shelter, clothes and many basic equipment for winter. Please send cash directly, collecting clothes and others would be a logistical nightmare. So who should you send your donations to? There are plenty of places are seeking your funds, but always make sure your donations really get to the people who needs it rather than filtered through various levels of the organisation. Needless to say it is your responsibility to ensure where your donations get received and what organisation really calls to you. 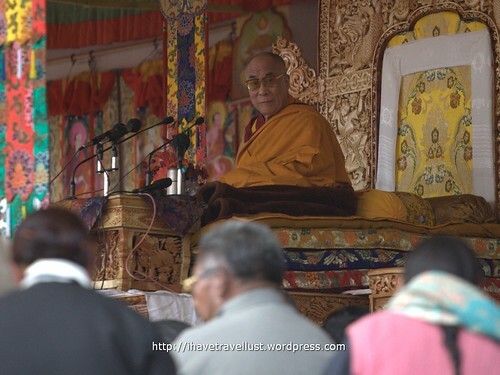 Buddha Haus Meditations-und Studienzentrum e.V. 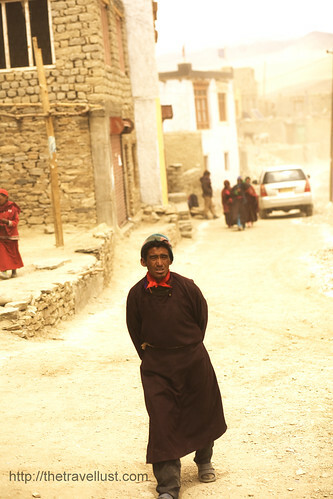 Created a photo album via tumblr for some of my images of Ladakh, Himalayan India. 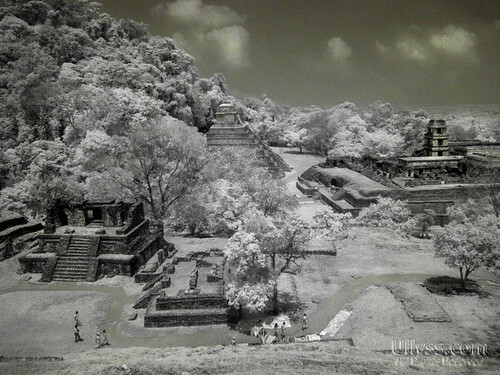 Here’s a short collection from my 1tb worth of travel images yet to be edited! 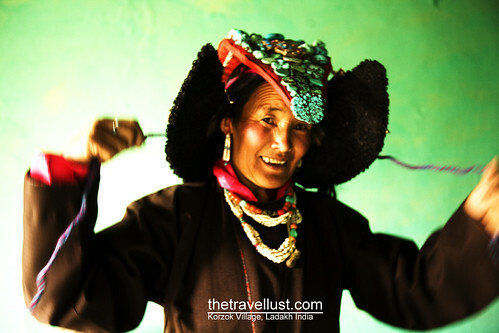 Korzok Village, Ladakh, Himalayan India. 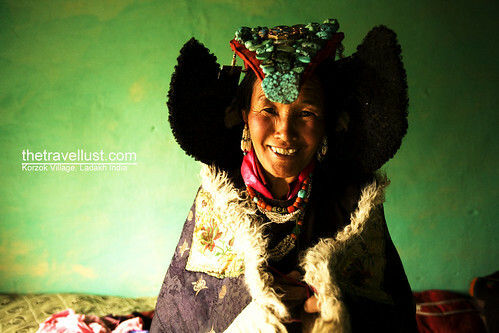 The lady of my guesthouse was dressing up for the High Lama’s visit to Korzok Village. When I was just about to leave the house in the morning for a walkabout. I spotted her from the half open room while she was just about to finish dressing up. Had unbashingly invited myself into her bedroom and she welcomed me quite openly although she was a little amused on how excited I was seeing her dressing up. I photographed her dressing and helped her with her coat and jewellery. 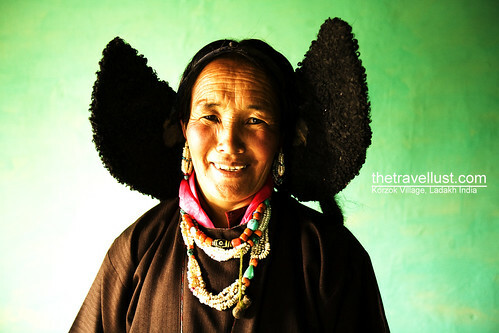 Her head gear lined with precious turquoise was incredibly heavy and it was amazing how she could wear that for the whole day. The whole setup was heavy and it probably took quite awhile to dress. You could tell how precious every gear and every jewellery were to her as she unwrapped them after taking them out from a wooden chest. Obviously these were her only possessions from her dowry as often females were only given these, passed down from their mothers as their only financial property. 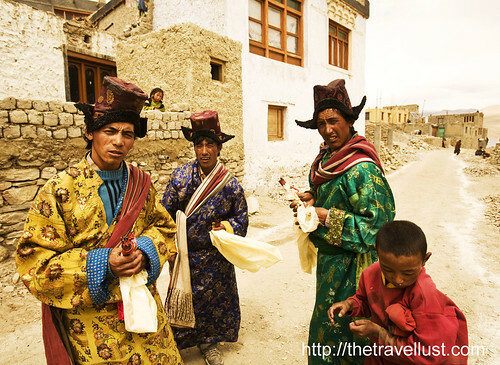 We couldn’t really communicate as I couldn’t speak Ladakhi and know only little Hindi, and she, spoke only little Hindi and no English and all Ladakhi. 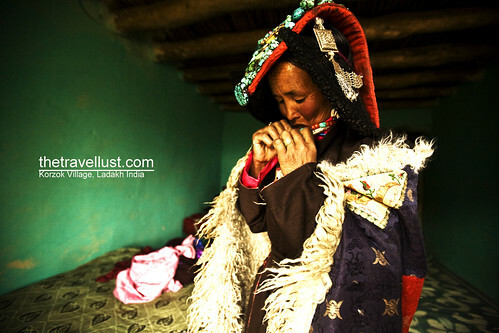 In between my hand signals and non-existent hindi, I came to know that she was one of the village representatives to receive the High Lama who was coming for the blessings and she motioned that she was also going to dance for the festival. 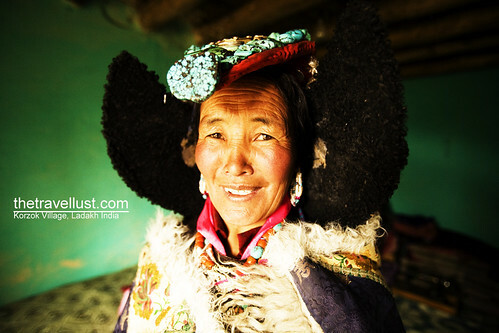 Really did wish I could speak Ladakhi, I could have communicated with her and perhaps asked her more about her life in this remote little village. 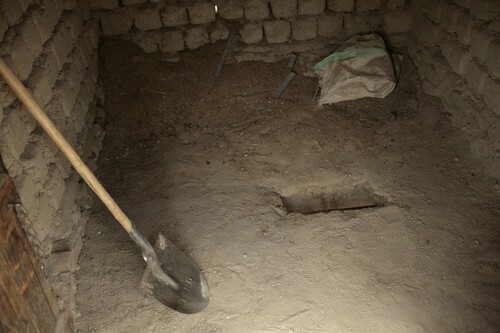 Ladahi toilets are one of the cleanest toilets I have ever been to, even though its just a hole in a shack. 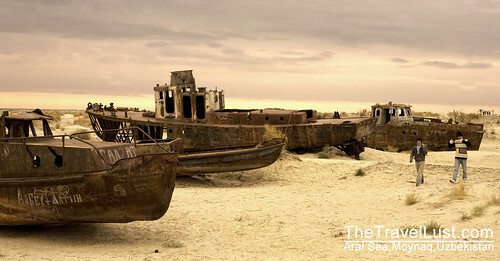 There is no water, just mud and soil. The odour is bearable, there isn’t any really horrid smell compared to those water sewage septic toilets. 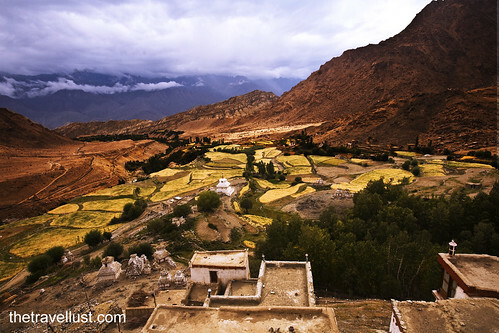 In other places in the Himalayas, instead of mud, they use millet husk or wheat husk to cover up your daily soils. and the pigs will feast under the shack. Just in case you are wondering, yes people do eat those pigs during festival times. These horses were returning to Leh after a week’s trek guiding tourists around, popular trekking routes consist of treks around Changthang plateau doing the popular Tsokar to Tsomoriri route. 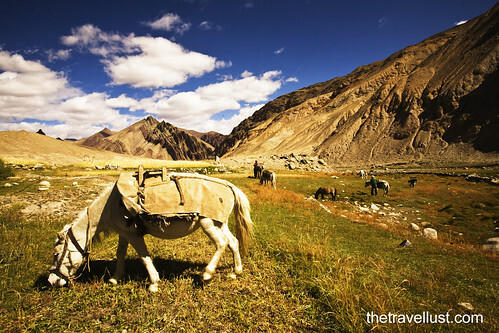 Not many travellers know that their trekking horses usually come from around Leh instead of around Changthang plateau. 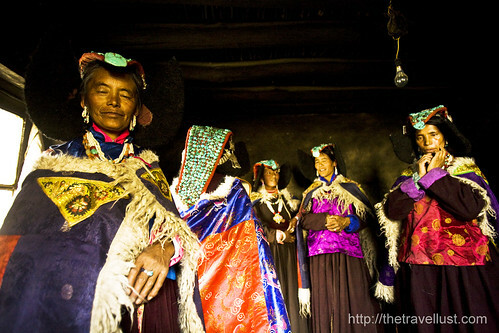 The horsemen would bring their horses to Tsokar, meeting the tourists who usually commute there with the jeeps. 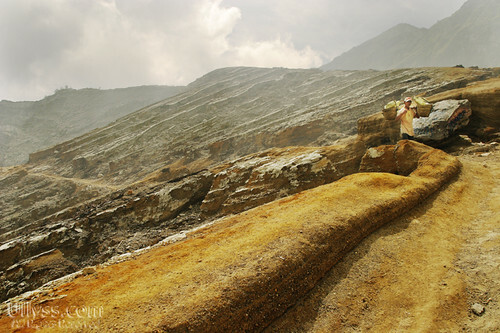 There are not enough trekking horses around Tsokar or Tsomoriri to cater for the large number of tourist treks during the peak season. Horses are expensive and not many villages around the Changthang plateau can afford to have that many horses living in their property. 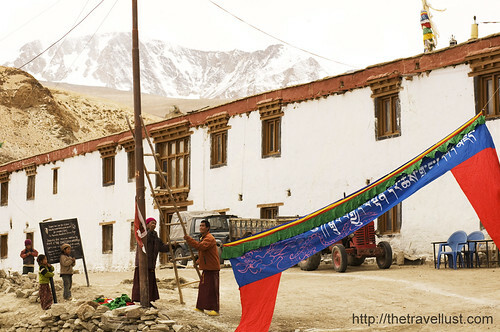 Only those around Leh would be able to possess four or more horses especially if they are connected to the tourist trade. 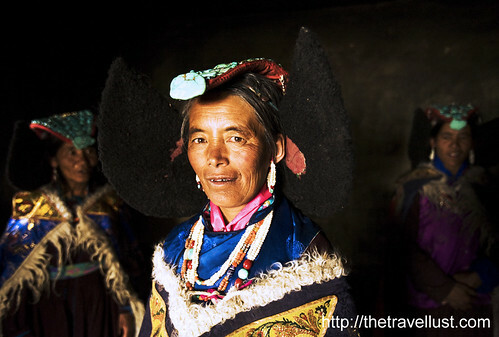 They usually take 5 days to reach their trekking destination before embarking on the trek. 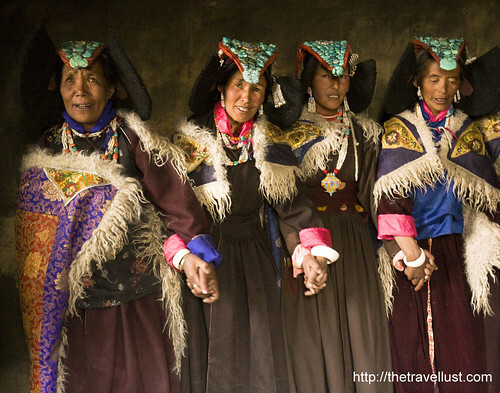 A typical tourist trek takes a further 7 days from Tsokar to Tsomoriri Lake. After which the horses return to Leh 5 days later. Arduous work for these horses and for their owners, still better compared to the people around the much poorer region of Changthang plateau who live on subsistence farming and breeding pashmina goats. 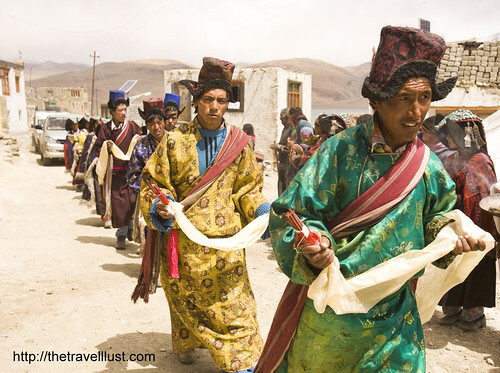 In my previous post, I did mention that Pashmina goats are usually bred around Changthang region and not in Kashimir. 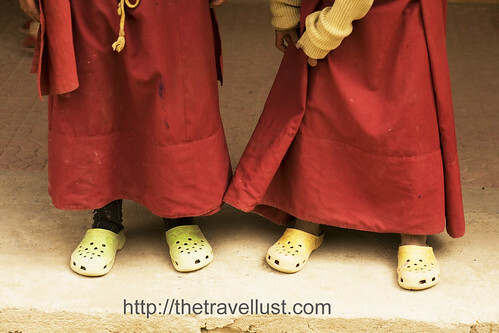 Crocs Shoes in the Himalayas! Crocs shoes are everywhere in the Himalayas. 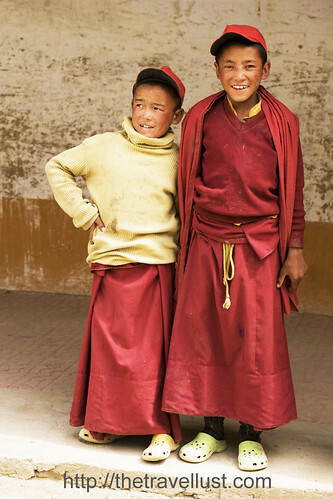 They are so popular that even in Korzok Village, the remotest part of Ladakh, Himalayan India, the children wear them.